I know I know I am a terrible blogger lately! I seem to only be posting challenges and not much else but I promise to try and sort myself out and get more organised! I have so much to show but not a lot of time to write up about it! Our sponsor for this challenge is Meljens Designs which are amazing and each of our dt members have used a Meljens image so check out the challenge blog for some inspiriation and Meljens store to stock up on some lovely digi stamps! I used pro markers to colour, pearls to decorate, the papers are a freebie from a magazine, I think some of the flowers are from Wild Orchid crafts and some are from Duck Pond Crafts, sentiment is a craft work cards and the all other items are from my stash. I look forward to seeing what you all make when I pop over to your blogs. 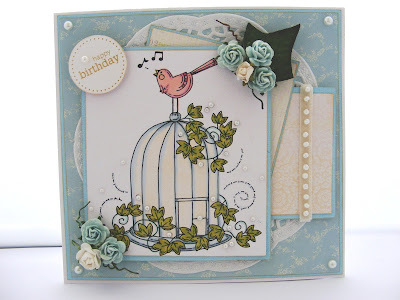 Hi Dazie this is so beautiful I love that image and what a fantastic design, super card.